This entry was posted in Uncategorized and tagged Saturday Snapshot. Bookmark the permalink. 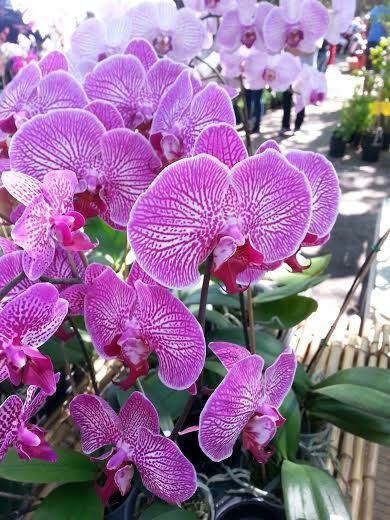 The orchids are beautiful, but so is your photo- just lovely. What a lovely temple too, the markets would be intriguing. Wow! Thank you for sharing these with us. Would love to see the food market. The orchid photo is lovely. Beautiful temple…and the orchids are so gorgeous I can’t stop looking at them! Thanks for sharing…and for visiting my blog. Not only is the market amazing, but they also sell food there too!! Talk about a win in my book. I love the orchid shot; they’re such pretty and fragile flowers. I’ve been to Tampa/St. Pete quite a few times, but I’ve never seen the Buddhist temple. Thank you for sharing your lovely photos. I hope you had time to eat at the Columbia Restaurant in Ybor City while you were there. Their arroz con pollo and fried plantains are not to be missed! 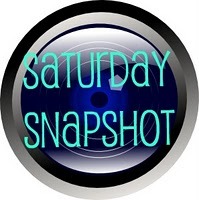 My Saturday Snapshot is HERE. Beautiful pics! The year is moving fast – I can not believe we are sailing through April already! Wowie-zowi, that orchid shot is something else! Woow! What a beautiful temple! And the orchids are gorgeous too! I love orchids too. The colors and the delicate structure always amaze me. Those are gorgeous orchids! I love the purple veining. I’ve been away from Saturday Snapshot for a while. I’d love for you to stop by my post. 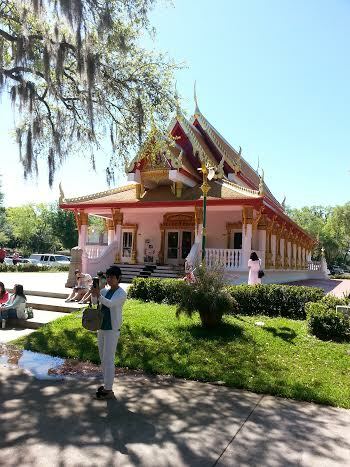 I had no idea that they had a Buddhist temple in Tampa. The orchids look great too. They would be great to grow here but I think the cold weather we had would have killed them long ago. Hi Fran! I’ve been so away from blogs that it makes me sad. Seems it’s been awhile for you too. Hope we’re both settled and blogging again in 2015!